There are no right or wrong answers when it comes to monetizing your blog. As your little corner of the Internet, it’s up to you to figure out what revenue streams to pursue. What may work for some blogs, might not work for yours. And that’s okay. As long as you’re open to the many possibilities to make money blogging, you can find the right strategies for you. The Unreliable Pursuit of Passive Income. Many bloggers initially chase after passive income streams. They turn to affiliate marketing, ads, and digital downloads to monetize their blog 24/7/365. While these are all tried and true ways to bring in a blogging income, you can’t always predict how much you’ll earn from them. One month, you may have thousands in affiliate commission only to see a fraction of that the next month. The same goes for information products — a flash sale one month can see a spike in revenue followed by a sharp decrease. Ad revenue too will fluctuate depending on your traffic. A good month with a viral post can lead to lots of clicks and substantially greater income than an off month with fewer page views. The point is, while passive income is a great way to monetize your blog on autopilot, it’s not always predictable. How, then, do you combat the unpredictability of passive income to make consistent revenue from your blog month after month? Sell services on your blog! Why Selling Services Makes Sense For Bloggers. As a blogger, you already have an audience who stops by regularly to check out what you have to say. Because they’re loyal readers, they’re already primed to purchase from you. Yes, sometimes this means information products like e-books and courses, but it can also include services like one-on-one coaching or consultations. If you’re not offering your services for sale on your blog, you could be missing out on eager readers wanting to work with you. First things first, decide which services to sell. For many bloggers, the logical place to start is coaching sessions or consultations. For example, career bloggers may offer one-on-one help for professionals contemplating a career change or financial bloggers can help someone create (and stick to) a monthly budget. If you get a lot of emails from your blog readers seeking words of wisdom related to their personal situations, consultations and coaching would be a good fit. After all, you could be selling your advice instead of giving it away for free! Remember, your readers are already stopping by to soak up what you have to say about your niche. Offering one-on-one consultations gives readers wanting that personalized attention an opportunity to pick your brain and receive the added support they crave. In today’s day and age, coaching is big business. More and more, people are turning to pros, like you, to help them overcome obstacles in order to reach their goals, whether they’re financial, professional, or personal. But coaching and consultations aren’t the only services that you can offer as a blogger. In fact, much of the knowledge gained as an active blogger can lead to services that sell! As a blogger, you already know the finer points of writing blog posts. Many businesses need blogging help to generate brand awareness and expand their online reach. Who better than an actual blogger to help? It’s a natural fit to turn your blogging know-how into a service offering on your blog. New bloggers often find success in offering virtual assistant services to more established bloggers. Not only is this a great way to make connections with your fellow blogger, but it gives you a lot of practical insight and knowledge that will help you advance your own blog. Blogging and social media go hand in hand. As a blogger, you’re probably active on platforms like LinkedIn, Facebook, Twitter, Instagram, and Pinterest. And you probably know a thing or two about gaining followers and traffic from these social sites. Small businesses would benefit from your real-world social media marketing and management experience. So, package that knowledge into a service for sale! Of course, this is just a short list of potential services bloggers can sell. Remember, consider your blog’s niche and your existing knowledge to determine which services make the most sense to you and your income goals. What To Charge and Time Constraints. Once you have a service in mind, it’s time to package it for sale on your blog. But before you can go live with your offering, it’s wise to figure out how much you’ll charge and the number of hours you’re willing to devote to services each month. Because there are only so many hours in a day, you want to make sure you don’t spread yourself too thin. Let’s say you want to offer career coaching services to your readers at a rate of $50 per hour. In any given month, you’d like to earn $1,000 from your coaching services. That means you’d have to sell 20 hours of coaching services to meet that goal. This comes out to anywhere from four to five hours a week to reach that goal. Make sure you have the time to dedicate to your service offering before you offer it for sale! Knowing how many hours a month you have to dedicate to your blog’s services can help you predict how much you can earn month after month. If you have 20 available hours to devote each month to services, you can work to sell out those services. You can even book yourself out for months in advance. Not only does this create demand and speak to your expertise, but it leads to stable revenue. You’ll have a much more reliable source of income every month on top of your other blogging revenue streams. Now that you have a service idea in your head, an understanding of how many hours you’ll want to devote to it, and monthly income goals, you can start selling. First things first, put a services sales page up on your blog. Here you can detail what it is you offer, your rates, and the benefits of working with you. Link to this page directly on your site’s navigation bar or menu for maximum exposure. You can also mention your services in relevant posts to help spread the word of your new service offerings! Once you generate interest in your services and start booking sessions and making sales, it’s time to get to work. But once the work is done, how do you get paid? A standard option is to invoice clients directly through PayPal. It’s simple to do and gives you a chance to send branded invoices out to your clients. You can also send customers to a payment page set up directly on your blog. Simply add a PayPal Pay Button to your page and clients can pay you for your work in just a few clicks. If your prices don’t change, i.e., $50 for each hour of coaching, you can sell your services as ‘products.’ Use the Simple PayPal Shopping Cart plugin to sell services directly from your blog and turn it into an income-generating, e-commerce machine! Sell Services for Steady Blog Income. No matter your niche or area of expertise, chances are there is a service offering that makes sense for your blog. When you can’t count on passive income every month, put your knowledge to work as a service on your blog. Remember, you already have an audience stopping by every month seeking out your expertise. Turn that knowledge into an hourly consultant or coaching service. And don’t forget about your practical knowledge gained as a working blogger! This can translate into services for small businesses or other bloggers feeling stuck in their own blogging initiatives. Whatever services you decide to sell, remember to keep them relevant to your existing audience, remain authentic, and make it easy for them to be found on your site. 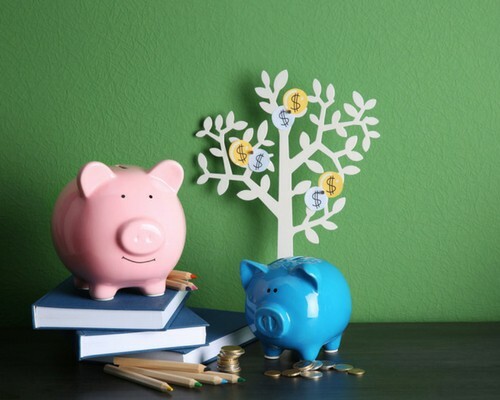 Before you know it, you’ll have a steady source of income you can count on month after month. Ashley’s blog post is really informative for all of your readers and subscribers. We have the same sentiments especially about Virtual Assistance Services. It also gives all beginner bloggers ideas and know-how’s in monetizing their blogs and honing their skills. Glad you enjoyed Ashlee’s post! It is true that many services can be provided on blog As, bloggers are making money by writing product reviews. If you are a professional blogger and you want to make some healthy amount of money from your blog, you can utilize this effective way. These are great tips and as always, I’m diving in and taking notes. I don’t want to rely solely on passive income since it does fluctuate, but I also want to do something creative and fun for active income as a food blogger (and former chef). Glad you enjoyed the post, Amby! Keep us posted on your journey! Hi! Thank you so much for this article. I recently started offering my services on my blog and am trying to find the best way to gain interest. One thing I really am trying to promote is my virtual assistant services. I found my VA job from a blog I regularly read. I VA with time etc, and one thing I really like about them, is they give you your own website, so instead of earning the starting hourly rate of $11 per hour they pay $16 per hour on customers from your links, so advertising on my blog is important for me. I also look forward to reading your article on how to start making income as that is my goal for this month to create income with my blog. Thanks again. Hi Erin, So glad you enjoyed Ashlee’s tips! I didn’t know that about Time Etc. — so thanks for sharing that! Good luck with your blog and keep us posted! Thanks for these great tips. Links to the plug ins really help, both are good options! This post could not have come at a better time for me! I just put a services page on my blog (I’m a life coach first and blogger second!) So having this article to guide me is very Serendipitous. Glad you enjoyed it, Justine! Best of luck to you! Thanks for the tips. I think it’s really important to make sure we’re not spreading ourselves too thin. In our minds, we can always do ALL the things we think we’re going to be able to do. Making a time map before offering services to see how much time is available to sell might benefit some. Glad you enjoyed the tips, Ronda! Very true. You need to have a plan and part of that plan should include pricing and how many hours to have to actually do work. Thanks For sharing tips & different possible ways to monetize Our Blog , One can also opt for Writing Product Review on Blogs and spread positive Word OF mouth for brands & At the same time Earn for providing this service. Glad you enjoyed Ashlee’s tips! Yes, sponsored content is another route bloggers can take. Thanks for stopping by! This is great! So many individuals try to do this on their blog and sometimes don’t have the best of luck so thank you for sharing and really give some advice to it for new or advanced bloggers! Glad you enjoyed the tips, Charlotte! Are you selling services on your blog? It’s great to see you here on Holly’s blog. Just wanted to thank you for these tips. I think it’s wise for bloggers to have multiple streams of income instead of relying on only one. I have a couple of streams myself and working on another. Hey Cori, Glad you enjoyed the information! Let us know how it works out for you. Have a great day! 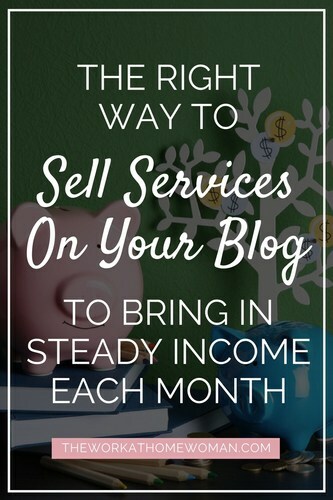 Great tips and I totally agree about selling services on your blog. It can be another great way to earn an income from your blog. I know that most bloggers want to create income from multiple streams. Services are a great way to do it. I hadn’t thought about adding consulting or coaching. I currently use Paypal and Stripe for my methods of payment on my blog. The simple Paypal shopping cart plugin looks pretty good as well. Hi Susan, So glad you liked Ashlee’s ideas! Over the years, I’ve offered quite a few services myself, but, I found that blog coaching generated the most interest with my audience. I think it depends on your blog’s niche as to which service would most resonate with your audience.